Johnny Arcilla and Francis Casey Alcantara hold their trophies as doubles champion of the Philippine F2 Futures ITF Men’s Circuit at Plaza Dilao. JOEY MENDOZA JR.
MANILA, Philippines - Spaniard Enrique Lopez-Perez lived up to his top billing as he downed third seed Kento Takeuchi of Japan, 7-6 (4), 6-4, yesterday to clinch the singles’ title in the 34th Philippine Columbian Association Open-Cebuana Lhuillier ITF Men’s Futures 2 at the PCA’s Plaza Dilao clay courts in Paco, Manila. The power-hitting Lopez-Perez, the highest ranked here at 378th in the world, relied on his solid baseline game and superb court coverage to make up for his faulty serving that resulted in several double faults in securing his second ITF title after his win in Chandigarh, India last March. The win also avenged the 24-year-old Lopez-Perez’s loss to Takeuchi in a 6-2, 1-6, 4-6 semifinal defeat that sent the former packing in the Manila ITF Men’s Futures 1 at the Valle Verde Country Club in Pasig City. Lopez-Perez also said the surface helped him more than Takeuchi. “He likes hard courts better than clay courts, that helped me, too,” he said. Lopez-Perez took home $2,160 while Takeuchi took the runner-up purse worth $1,272 in the tournament supported by Cebuana Lhuillier, Puma, Dunlop, The Philippine STAR, Head, Babolat, Compass/IMOSTI and Sarangani Rep. Manny Pacquiao. 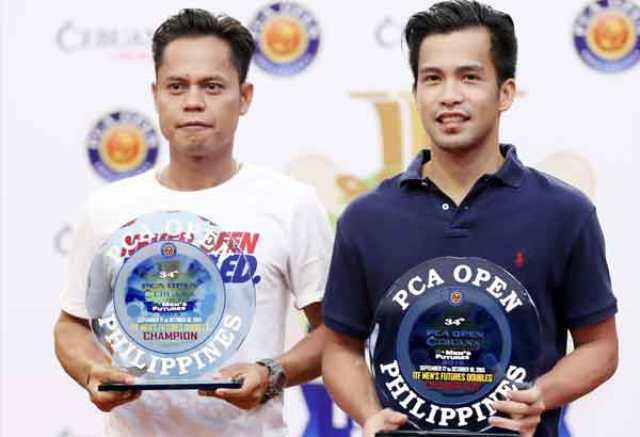 The day before, local standouts Francis Casey Alcantara and eight-time PCA Open titlist Johnny Arcilla took home the doubles crown. Cebuana Lhuillier president and CEO Jean Henri Lhuillier expressed satisfaction over the turnout of the Manila ITF Men’s Futures 2, saying he would support the next edition of the event.